Mr. Ahmet Bozer served as an Executive Vice President of The Coca-Cola Company until his retirement in March 2016 serving as the President of Coca-Cola International since January 1, 2013. In that position he was responsible for all units outside North America. From 2000 to 2012 Ahmet worked in Istanbul for the The Coca-Cola Company, rising from Division President of Eurasia with responsibility for a handful of countries to President of the Eurasia and Africa Group covering 90 countries. 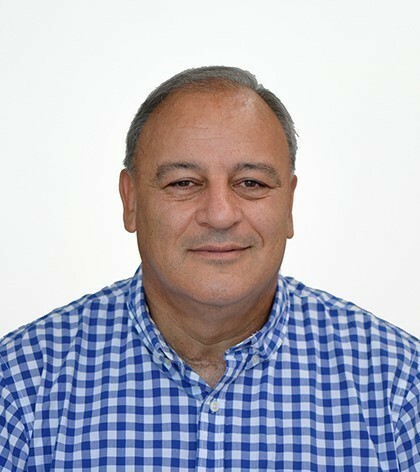 Ahmet began his career in 1985 with the audit firm Coopers & Lybrand, based in Atlanta, serving in a variety of audit, consultancy and management roles. In 1990 he moved to The Coca-Cola Company as a Financial Controller Manager in Atlanta and then moved to his native Turkey in 1992 as Region Finance Manager for the company. In 1994 he joined the Coca-Cola Bottlers of Turkey as Finance Director and was named managing Director of the bottler in 1998, where he remained until he rejoined The Coca-Cola Company in 2000. A founding member of The Coca-Cola Turkey Life Plus Foundation, Ahmet also previously served as head of the US-Pakistan Business Council. In 2013, Ahmet was named Chairman of the Business Council for International Understanding (BCIU), Chairman of the U.S.-Turkey Business Council, Chairman of the US – Brazil Business Council and was appointed to the Robinson College Board of Advisors at Georgia State University. Ahmet currently is a member of the Board of Directors of Coca-Cola Hellenic and Turkish Philantrophy fund. Ahmet holds a Master of Science in Business Information Systems from Georgia State University in the U.S. and a Bachelor of Science in Business Administration from Middle East Technical University in Ankara, Turkey. Constantine S. Katsikeas is the Arnold Ziff Research Chair and Professor of Marketing and International Management, and the Founder and Director of the Global and Strategic Marketing Research Center at Leeds University Business School, University of Leeds. He served as Department Chair in the periods 2004-2010 and 2014-2016, and as Associate Dean for Faculty in the period 2011-2016. He was Vice President of the Academy of Marketing Science between 2012 and 2014. Prior to this, he held the Sir Julian Hodge Chair in Marketing and International Business at Cardiff Business School, Cardiff University. He holds a B.Sc. from Athens University of Economics and Business, an M.A. from Lancaster University, and a Ph.D. from Cardiff University. His doctoral studies were supported by a scholarship from the ONASSIS Foundation. His interests are global marketing and exporting, sales management, cross-border relationships, strategic alliances, and competitive strategy. His articles have appeared in Journal of Marketing, Strategic Management Journal, Organization Science, Journal of International Business Studies, Decision Sciences, Journal of International Marketing, Journal of World Business, Journal of the Academy of Marketing Science, and other journals. 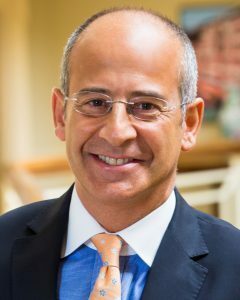 He is the recipient of the American Marketing Association's 2013 and 2015 Excellence in Global Marketing Award for outstanding research, which has significantly influenced the direction of global marketing, the 2006 Hans B. Thorelli 5-Year Research Award by the American Marketing Association Foundation, and the 1999 S. Tamer Cavusgil Award for the best Journal of International Marketing article that advances the practice of international marketing management. He is the Editor-in-Chief of Journal of International Marketing, published by the American Marketing Association, Editor–Marketing of Journal of International Business Studies, published by the Academy of International Business, and Area Editor of Journal of the Academy of Marketing Science, published by the Academy of Marketing Science. He was Associate Editor of British Journal of Management (2004–2007) and serves on the editorial boards of Journal of Marketing, Journal of Marketing Research, Management International Review, Industrial Marketing Management, Journal of Business Research, British Journal of Management, and Journal of Marketing Management. He is an active member of the American Marketing Association, Academy of International Business, Academy of Marketing Science, and European Marketing Academy. He has led management development courses on strategic marketing, direct marketing, international management and export management, sales management, key account management, and competitive strategy. He has led executive education programs and taught managers from a wide range of organizations including Toyota, Delhaize Le Lion, Aramco, Coca Cola, Atkins, Siemens, Boehringer Ingelheim, Sabic, Nadec, Philip Morris, Minerva, Audi, Mitsui Chemicals, Gorenje, Fortnum & Mason, A1 Telekom Austria, Mercedes-Benz, FirstPlus, Prozone, AB Vassilopoulos, GlaxoSmithKline, and Johnson & Johnson.